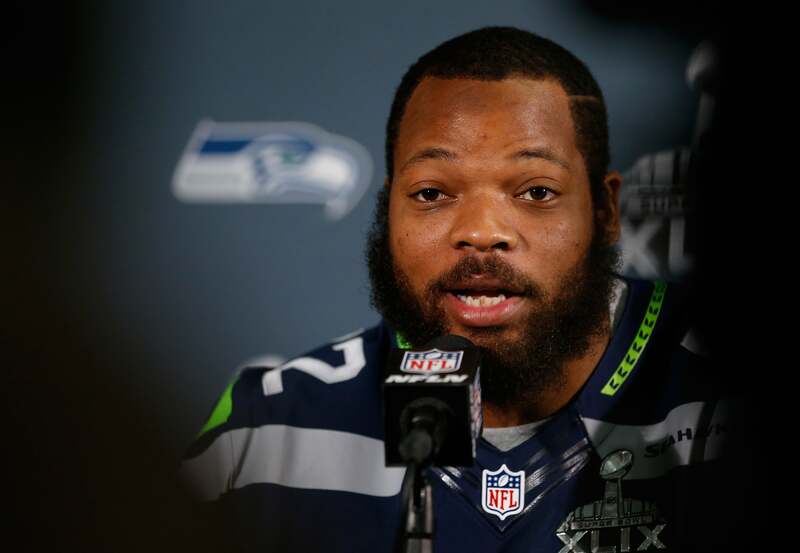 NFL star Michael Bennett, a defensive end for the Seattle Seahawks, posted a letter on his Twitter account describing the moment he was forced to the ground by police, with one officer brutally threatening him on a recent visit to Las Vegas. According to Bennett, the football player was in Las Vegas for the Floyd Mayweather and Conor McGregor fight on August 26. Upon Bennett’s return to his hotel, several hundred people heard what sounded like gunshots. While Bennett ran away from the sound to find safety, an officer from the Las Vegas Metropolitan Police Department ordered him to the ground. Bennett complied, and another officer “forcefully jammed his knee” into his back, while other officers pointed their guns at him. Another cop allegedly pointed his gun close to Bennett’s head and threatened that he would “blow [his] f—ing head off” if he moved. Officers ignored Bennett’s questions, and instead told him to “shut up.” Officers then detained him in a police car. After waiting in the car for what “felt like an eternity,” according to Bennett, they released him without any justification for the officers’ conduct. As Bennett shared, throughout the ordeal he felt helpless. “Would I ever play with [my daughters] again? Or watch them have kids? Or be able to kiss my wife again and tell her I love her?,” he wrote. In a Wednesday press conference, the LVMPD release partial footage of the incident, noting that body cam footage from the arresting officer was not available. In the video, crowds of people are seen running out of a casino, the scene where gun shots were reportedly fired. Officers can be heard yelling “everybody out” to the frantic crowd. At the point where the footage catches up to the incident in question, Bennett is already on the ground being handcuffed. The reasons why police officers pointed out Bennett for running from the gun shots, among all the patrons who were running out of the building, remains to be seen. As LVMPD Undersheriff Kevin McMahill stated to press, the police department is conducting an internal investigation to clarify these issues, and officers have asked the public to submit footage, as multiple witnesses were in the area capturing the arrest on cell phone cameras. Before this incident, Bennett had been a longstanding critic of police brutality. Bennett has been increasingly outspoken since. Last year, he questioned why other football players were just “taking the dollars” and not calling out injustice, like famous players in the NBA. He has also sat during the singing of the National Anthem before NFL games, in solidarity with former 49ers player Colin Kaepernick. In this public letter, Bennett’s pleas were more than a call against injustice. They were personal. Before stating that he has retained an attorney to file a lawsuit against, he notes: “The system failed me. I can only imagine what Eric Garner, Michael Brown, Trayvon Martin, Tamir Rice, and Charleena Lyles felt,” all Black men and women who died at the hands of police or vigilante violence within the last four years.